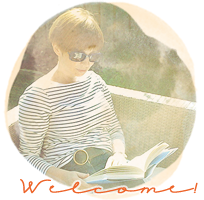 Hey blog friends! How's the day treating you? I managed to get out to my early morning Pilates class, for the first time in weeks, and it has energised me enormously. I have rushed round doing everything I needed to do so that I'd have a little time this afternoon for some scrapbooking. When I first started blogging I used to keep a list of intriguing ideas I'd come across, links to pass on and posts to point you to. Maybe the advent of Pinterest stopped me, maybe I'm not even sure how many of you are interested in scrapbookng anymore; but over the last couple of weeks I've spotted a few things which made me stop and say Good Idea! and I thought I'd offer them up in case one or two grabbed you. More personal than Pinterest, don't you think? When I saw two of my favourite bloggers designing for the same challenge site with such beautiful results I thought I should check it out. The Kraft Plus Challenge asks you to..work with Kraft (and some other things besides: this month's postage stamp suggestion brought gorgeous pages from both Lizzy and Mardi). I'm going to be keeping my eye on this one. I'm sure many of you will already have seen Julie's post about her new blog (and instagram) feature Private Patterns. It's by Julie, so it'll be fun and a good read and certainly worth a think. You might have a pattern or two of your own to reveal. Or if photos are your thing, what about Helena's Snap! Every Wednesday you can join the other photographers to post " a visually linked set of between 2 and 4 images". There have been some fiendish Snaps! ( and some thoughtful ones) already and I'm getting pulled in by the thought of how much fun it would be to scrapbook a few sets of pictures. I just need to get out there and take some. I've been inspired by all four of these, though if you follow me on instagram you'll know that I have some desk tidying to do before I can even think of joining in. I posted my first very very quick video yesterday. It's a horror movie. So maybe before I start I'll put my feet up with a good book..
..which I found through a book review on Melissa's blog. And that's what's going on in my head today. Have a good weekend and I'll see you on Monday? Yes I echo the comments about what a neat mug that is. Thanks for the links & recommendations; inspiration is always welcome. I often find when touring blog land that a link here, a link there leads on to some wonderful & informative adventures. Hope you have a great weekend. Thanks for the links. I've already added Alexandra to Feedly after looking through several of her recent posts. I've also printed out the Julie's post about Private Patterns. I'm always happy to check out some new sources of inspiration! 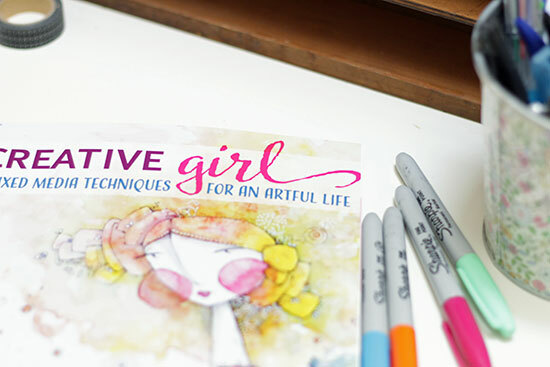 Oh, I think you're really going to enjoy the Creative Girl book! Perfect INSPIRATION for the weekend! I'll be teaching more Bible Journaling classes all day tomorrow, so it'll be a FUN weekend around here. I'm so touched! Thanks for your kind words and linking me up Sian! I already feel inspired by the concept of SNAP and I'm going to check all the links you so kindly have shared. Love your mug and Have a great week-end! Inspiration is definitely needed around here, so I am off to peruse your links. I know that if they have inspired you, then I to will find them useful! Another one who is loving that mug! Thanks for that Sian. Alexandra's already dropped by for a visit. If she hadn't I wouldn't have known you had a new post up. My blog reader must be keeping you a secret! I'll make sure to visit the others you've linked to. I should have mentioned the mug! It was a present from Little E, but sorry, I have no idea where he got it. OK Little E, time to spill the (coffee) beans - where did you find that perfect mug? Some great links here - they are sure to get us all clicking on the links! I'll have to check them out. I don't use enough kraft. Hope you are having a good weekend and I constantly scrapbook in my head! I have come back to this post having glanced at it the other day. I now notice a mention of Snap amongst the scrap booking chat. Isn't it a great meme and it really does seem to be inspiring people. Now I shall be looking at your scrapbook posts looking for those snap pictures you are going to do and scrapbook! Forgot to say. My Pilates teacher seemed to be intent on working us hard this week. I was a tad worried when the star of the class said she was aching from the very same class that she had attended earlier in the week. I had reason to be worried... Oh boy I ache today! That book does look interesting, I must investigate. You've also reminded me that I was going to go back and read Julie's Private Patterns, so thanks for that. Glad you were able to get along to pilates this week, which must mean you're feeling a lot better. Hooray for that. thanks for the links, will be following them in the future. I'm so pleased you are feeling a bit better, I always find I can do more after some exercise. What a brilliant mug, Sian, and whey-hey for the exercise :). Looking forward to following your links - and I have a copy of the very same book which arrived with me two days before I broke my shoulder. You'll be way ahead of me in no time! Love the mug.....and some links to take a look at. I love it when you point us in the direction of places we might like to visit, working full time doesn't leave me enough time to look for new blogs so I appreciate you highlighting them. 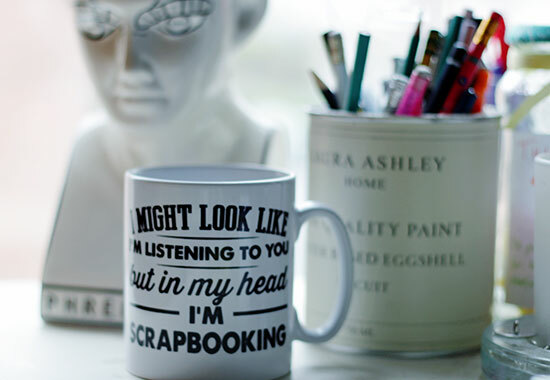 That is a great mug and I think I need one for my collection! I will be checking these out. I want to get back into the swing of creating again. I've missed it. Thanks for the links to check out! Awww...how lovely to get a mention...and Kraft+plus too. One of my most favorite things is to stumble across a new inspiration or prompt... blog hopping .. pinterest surfing... living an inquisitive life.